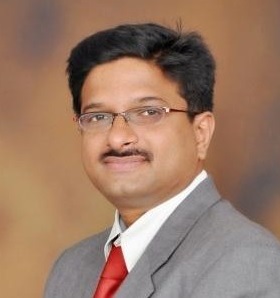 We’re proud to announce Dr. Satish Jeevannavar as the new CEO for Activ Doctors Online India. Dr. Jeevannavar brings with him over 14 years’ experience in Business Development, Management Consultancy and Healthcare Policy. Most recently he operated as Director of Business Development and Innovation for the Indian firm NationWide Primary Healthcare Services Ltd. In his new role Dr. Jeevannavar will oversee the growth and expansion of Activ Doctors Online India, including the development of new corporate alliances and partnerships relevant to the Indian market, whilst also growing ADO’s network of providers. Dr. Jeevannavar has a strong vision for the future of telemedicine in India and believes ADO can play a key role in capturing the market share in this evolving sector. As a global leader in mobile health solutions whose platform provides access to online Personal Health Records, Second Opinions and e-Consultations, ADO is committed to hiring the finest personnel as we continue to expand our worldwide operations. Dr. Jeevannavar takes up his post on May 11th and we couldn’t be more excited about the new addition to our team! Congratulations Satish !!! Keep the motivation and Innovation going and wish you Success in your New venture . Well Done ! Congratulations , It was great meeting you at Nationwide. Hope to see you soon …have a great time in your new role.